A firearms dealer was called to testify in Oscar Pistorius's murder trial in the High Court in Pretoria on Monday. Sean Rens described himself as a "firearms service provider" as prosecutor Gerrie Nel asked him what business he was in. Rens told the court he met Pistorius in May 2012 when Rens's friend Justin Divaris introduced them. Pistorius was looking for a Smith and Wesson 500 revolver and asked Rens to find one for him. "Over a number of months he bought a number of firearms," Rens said. Pistorius is accused of the premeditated murder of his girlfriend Reeva Steenkamp in his Pretoria home on February 14 last year. He shot her through the closed door of his toilet, apparently believing she was an intruder. 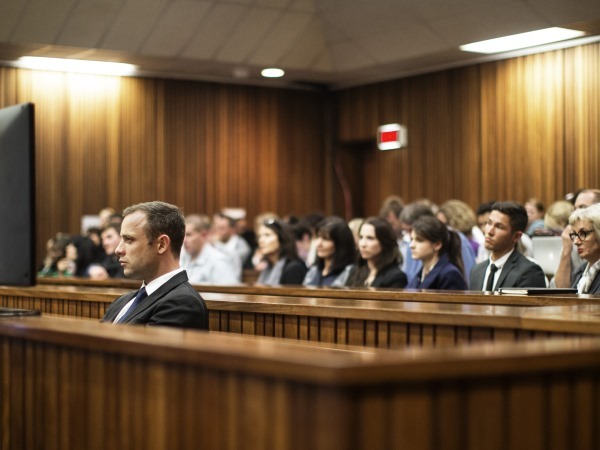 In addition to the murder of Steenkamp, Pistorius is charged with contraventions of the Firearms Control Act. He allegedly fired a shot from a Glock pistol under a table at a Johannesburg restaurant in January 2013.